Sometimes something as small as a touch of an underwater wall can send significant ripples into multiple areas of life. This is the case of Simone Manuel — Olympic swimmer for the United States. Last Thursday, on August 11, Manuel touched the wall of the Olympic swimming pool in Rio de Janeiro to become the first African-American woman to earn an individual medal in Olympic swimming — winning the gold in the 100-meter freestyle race. 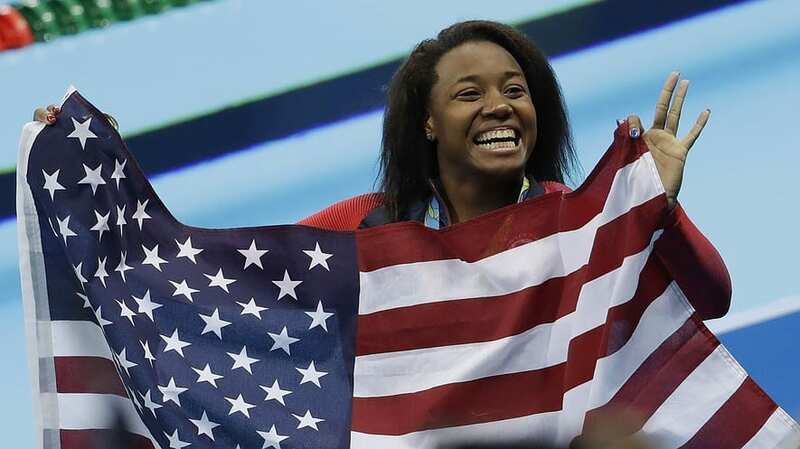 Her time of 52.70 seconds also set a new Olympic record as she became the first American to win gold in that event since 1984. Her unprecedented swim cast a new light on the 20-year-old from Stanford — something that she took in stride. Manuel, along with several other Olympic athletes such as divers David Boudia and Steele Johnson and runner Allyson Felix, is among a fairly large group of Olympic athletes competing for Christ. Although the world may watch them for their athletic abilities, they are directing the attention back to the Giver of those gifts. To read more about Manuel’s story from the Christian Examiner, click HERE. Manuel earned four total medals in Rio — two gold, two silvers — joining the American 4×100 medley relay team to take home her second gold of the Games.